A great program for those who are not familiar with image editing software. As it is only 699 kilobytes it takes up little memory. The last update occurred on 27 January 2016. Newer operating systems might not recognise this software or there could be compatibility issues. GifCam can be used much like a traditional camera. 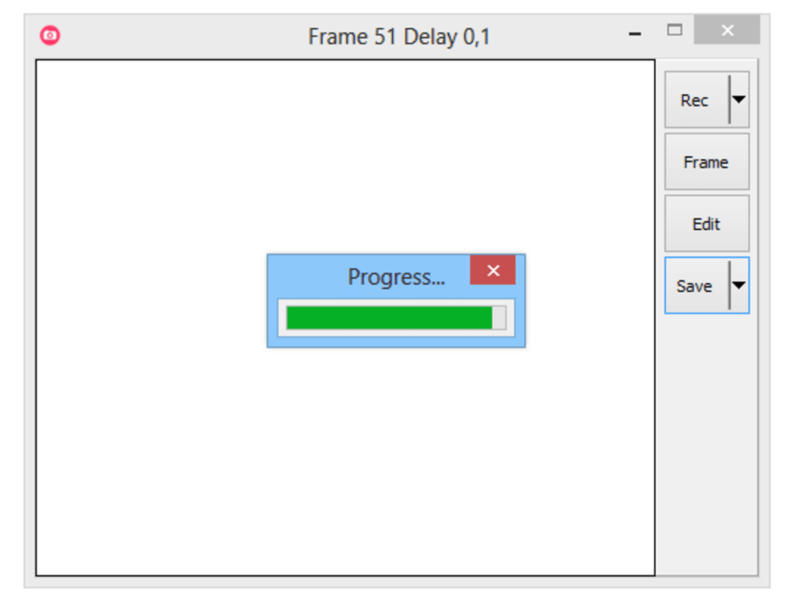 You are able to drag the window over the desired video image and begin recording until you have captured the necessary frames. 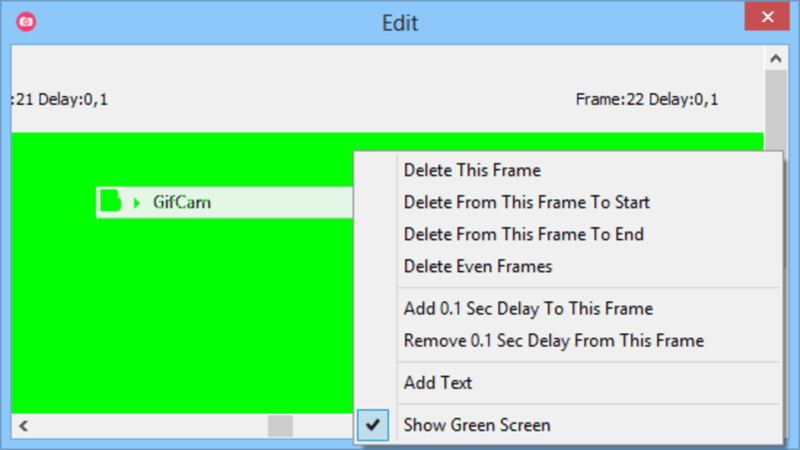 You can also add frames and remove images that may cause lag times. The updated version now supports keyboard inputs a handy advantage if you need to add integers such as the desired height and width or the frame rate. Once you are satisfied with the finished product you can save your GIF much like any other file and you are able to choose the file destination. 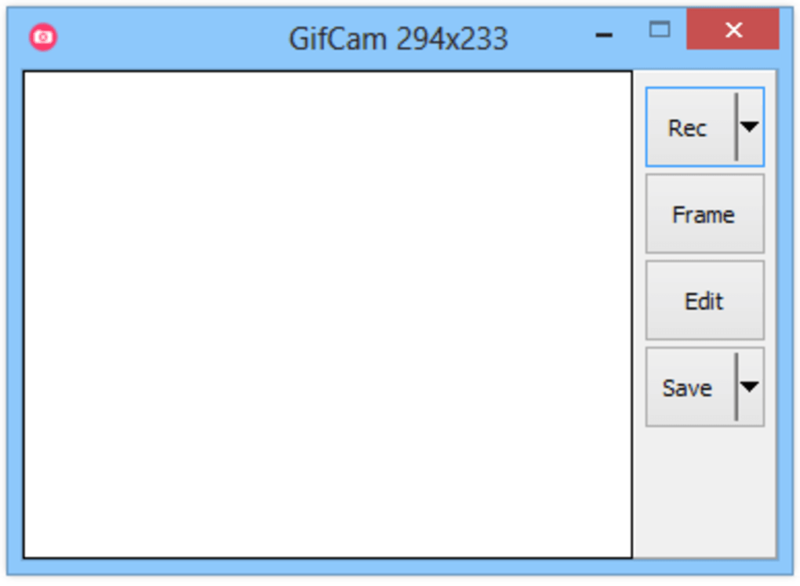 While GifCam is primarily designed for editing GIFs there are a number of other uses. You can create animated paintings you can modify and existing GIF to boast a more 'retro' appeal and you can now add text within the image itself. Good software,it is small and powerfull,I Love it!!!!!! !Good software,it is small and powerfull,I Love it!!!!!!! Quick and easy once you've learned all the features.. I have been using this for a long time now, the quality of the gifs varies but sometimes they turn out amazing. May take a while to learn how to use all the features. But once you've got the hang of it it's quite fast. Really annoying when it crashes though. 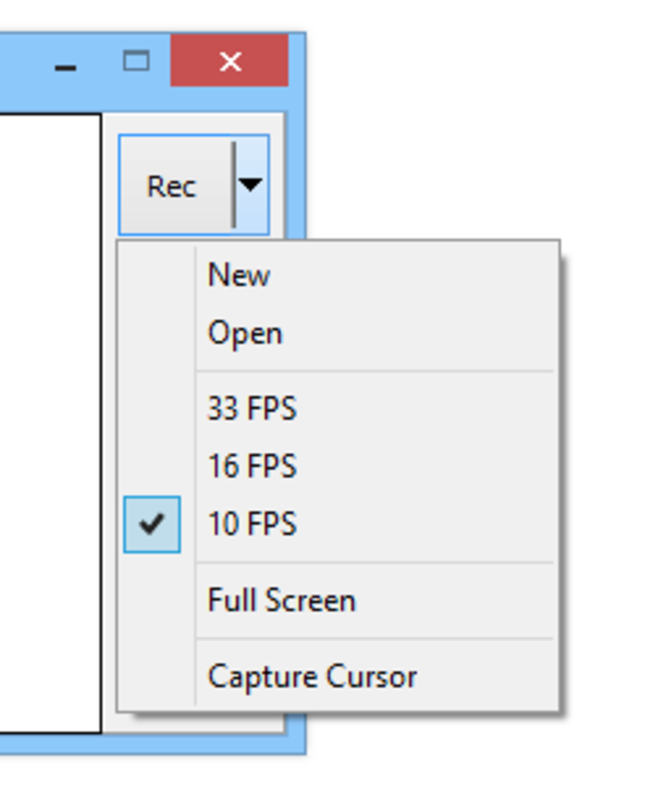 best screen capture program. I have used gifcam for about a year and it is seemless, works perfectly every time. Safe download, easy to use, and something I get for time and again.. I use this quite a bit, but never had it on this computer! So, I suppose I'll give it a review. The initial download was without adware and comes with the application in a zip. That's all. ^^ Using the GifCam is easy and lets you set things up in exactly the way you want them. knowing just a bit about how gifs work will help you with the settings. All in all, this thing's great, and actually does and turns videos into what you want it to. honestly? I give it 9/10 just because of the occasional green dot in the image. The easy-to-use interface of the script. 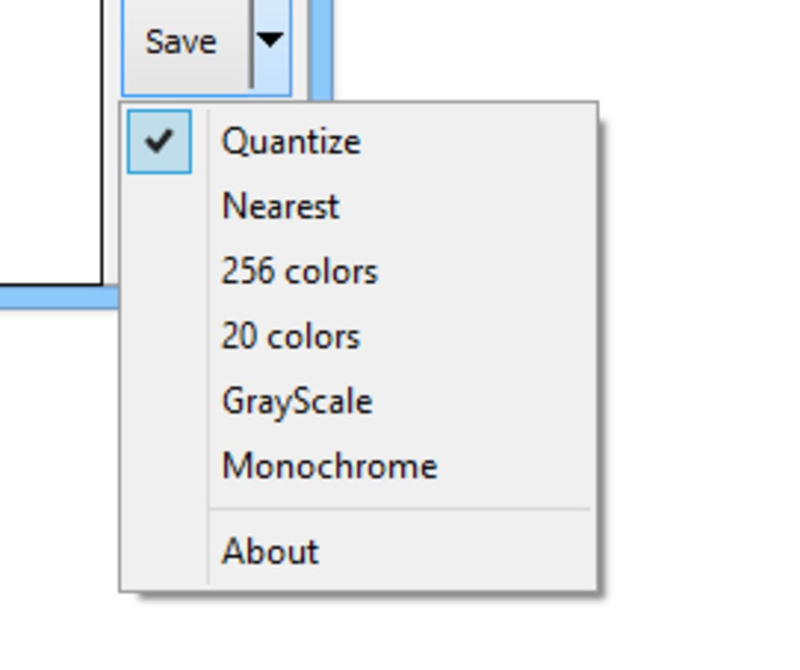 The size of the gif depends on how big you make the capture window. The information to help you use the GifCam accurately is simple and easy to understand. What do you think about GifCam? Do you recommend it? Why?